A TV Ministry of Warren - Grace Bible Church and Grace School of the Bible presenting the Word of God rightly divided so that the lost can hear the Gospel of the Grace of God, believe, and be saved; and that the Believer may learn how to understand and enjoy the Bible. 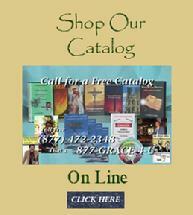 For a free literature pack that includes "Salvation Examination," "The Key to Understanding the Bible," a full color fold out Bible chart and a Catalog of other books, tapes and videos; simply fill in the information below. I Timothy 2:4 says God "will have all men to be saved, and to come unto the knowledge of the truth." Therefore the Saints of Grace Bible Church in Warren, Michigan launched the ministry of "FORGOTTEN TRUTHS." II Timothy 2:15 says: "Study to show thyself approved unto God, a workman that needeth not to be ashamed, rightly dividing the word of truth." Therefore "Forgotten Truths" features Richard Jordan - Pastor of Shorewood Bible Church in Rolling Meadows, Illinois; an international Bible conference speaker and President of "Grace School of the Bible;" a man who has dedicated his life to proclaim God's Word rightly divided. II Timothy 3:16 says: "All scripture is given by inspiration of God, and is profitable for doctrine, for reproof, for correction, for instruction in righteousness: That the man of God may be perfect, thoroughly furnished unto all good works."